I currently work at a school in North Somerset in the role of head of girls' PE with responsibility for the A-Level course. I have been teaching for over 6 years and began my career in South London where I worked as Academic Co-ordinator for examinable PE. I have experience teaching GCSE, BTEC, OCR Cambridge National and A-Level PE and specialise in the physiology and psychology content. I graduated from the University of Southampton with a first class honours degree in Sport Studies. 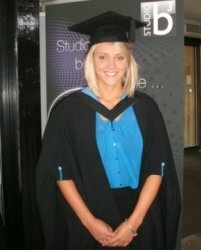 The multi-disciplinary nature of my degree meant that I was lucky enough to cover aspects of sports from a wide range including Sport and the Law, Physiology, Biomechanics, Psychology, Sociology and Essential Issues within PE to name a few. I am passionate about Physical Education as a subject, continually following and partaking in debates regarding the academic stance of the subject, as well as actively participating myself. My dissertation (awarded a high first class mark) involved visiting secondary schools and considering the relationship between 'PE' and 'School Sport' with the recent dissolution of school sport funding. Trained at University of Gloucester through the GTP programme and a local Bristol school. Worked for 3 years in South London where I progressed to Academic Co-ordinator for PE. Moved back to Bristol and joined a school in North Somerset where I am head of girls PE. I also have responsibility for year 11 mentoring programmes where we look at how metacognition can support students in their revision. I have been at this school for 3 years. My A-Level results have always been above national average for the sections I am responsible for teaching. I regularly attend and lead CPD training sessions and am keen to continue to develop my teaching practice. I have experience tutoring GCSE and A-Level PE for exam boards AQA and OCR, however I am happy to adapt to new examining board if required. I am keen to understand and find out what works for you and fully support the notion of personalised learning with which I have resources that I would use to support this. I would begin by using a basic assessment to create a grounding of understanding before building upon this in a manner appropriate to each individual. With many years of both teaching and coaching experience I appreciate that different approaches work for different individuals and would look to co-operate with my tutee to assess which works best. From my teaching experience I feel I have a firm understanding of specifications of different exam boards and would look to utilise a wide range of resources and materials to make lessons fun and worthwhile. Students must ensure that they are confident with both content and exam writing skills and I firmly believe it is vital to build in structured exam practice into their learning. I have a multitude of resources that I use when I teach to assist with exam practice and would happily pass these to tutees that I am working with. To finalise, I would look to end each session by discussing what has been learnt. It is in my experience that it is often the manner in which someone says something that can trigger the memory of a key bit of information in an exam situation. We have used Chloe for a few weeks now with my daughter, who was struggling with A Level PE. We have seen a massive improvement already. I would thoroughly recommend Chloe. Highly recommend. Chloe's style is very professional but friendly, supportive and encouraging with clear structure, guidance and expectations. PE was our son's final A level exam and he said it went better than any others. Thanks Chloe. Chloe is simply a first class teacher in keeping with the best tradtions of that profession. Chloe arrives on time with a positive nurturing attitude, sound knowledge base, excellent interpersonal skills, and drawing from a clear and attendant experience related to subject specification and what needs to done to improve. Chloe has a very positive impact on the motivation of her her pupil which boosts their confidence and inspires their personal efforts. She has evidenced a very flexible and helpful engagement with whole family and in no short measure instills confidence and reassuarance in us as parents.too . Chloe is a proper teacher, from an excellent secondary school who carries a top flight ethos into the child and family on every visit. She helps the child learn their stuff and assures its learned as well. Chloe does exactly 'as it says on the box'. Chloe is a safe woman with any child and in any home. I am delighed to have benefitted from Chloe's input for our child and I have no hesitation what so ever in recommending Chloe as a tutor to any other chid or family. Greg. Chloe has been an amazing tutor for my son who is studying PE A level. We tried a couple of tutors and Chloe is by far the best, being a working teacher has made a very big difference, she knows the syllabus and the exam technique required. Anyone who is able to book her time can consider themselves lucky. She is very conscientious and well prepared for each session. The lads feel more confident about P.E. even after only two sessions. She has a lovely manner which shows in her tutoring. A very good find!